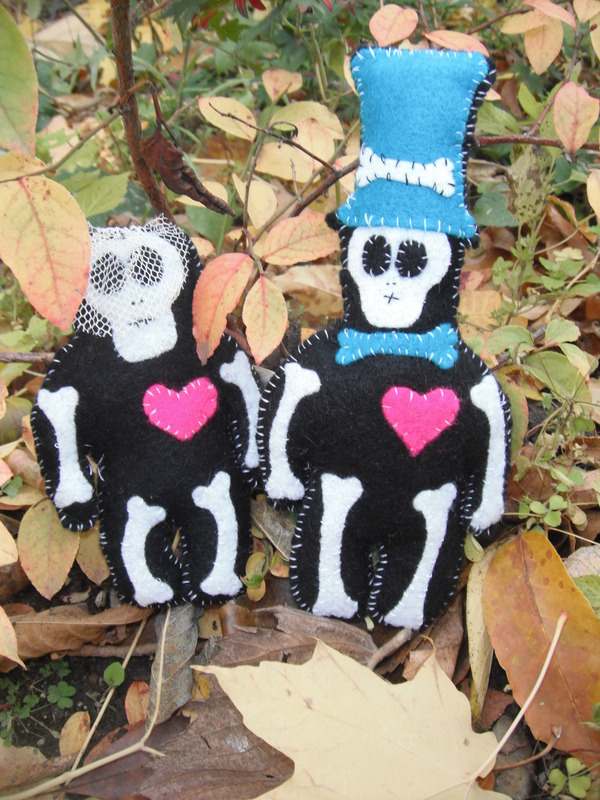 Wanna win my Marriage Cures Love couple of Skellies? It’s so easy: follow this link. The contest starts on Wednesday 24th and ends on the 31st at midnight, the winner will be picked on November 1st and notified by email. For extra entries, you may need to visit Hypnophobia, The Birdman and Heather. And in case you haven’t read these creepy anthologies, maybe you should: Tattered Souls volume 2 and City of Hell Chronicles : volume 1. For cool swag, #Coffinhop also has a store! This entry was posted on Tuesday, October 23rd, 2012 at 7:02 pm	and posted in Highly recommended. You can follow any responses to this entry through the RSS 2.0 feed. Who doesn’t love Skellies? I’ve entered. Cool – count me in! Skellies … any chance I can get a side of Mulder with that? 😉 Yes, I just made a very, VERY bad X-Files pun. Happy Coffin Hopping! Those are so cool!! I just entered. Have a great Halloween! Great idea — happy hopping!